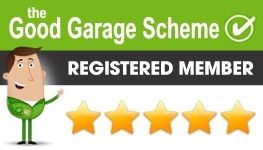 Based in Walsall, Stan Reynolds Garage was formed in 1962 and is a family run business. Our aim has always been to provide a friendly and professional service, treating everyone as individuals. We have generations of families returning to us year after year, possibly making us the oldest trading garage in Walsall. We always use high quality parts and materials to ensure our repairs are completed to the highest standard possible. Our vast experience enables us to take on all makes of cars including classic repairs, mechanical, electrical and bodywork.